Even fish can be treehuggers. In a large study published Wednesday, fisheries ecologists at Virginia Tech have found a link between tropical forest loss in the Amazon and declines in freshwater fish populations. 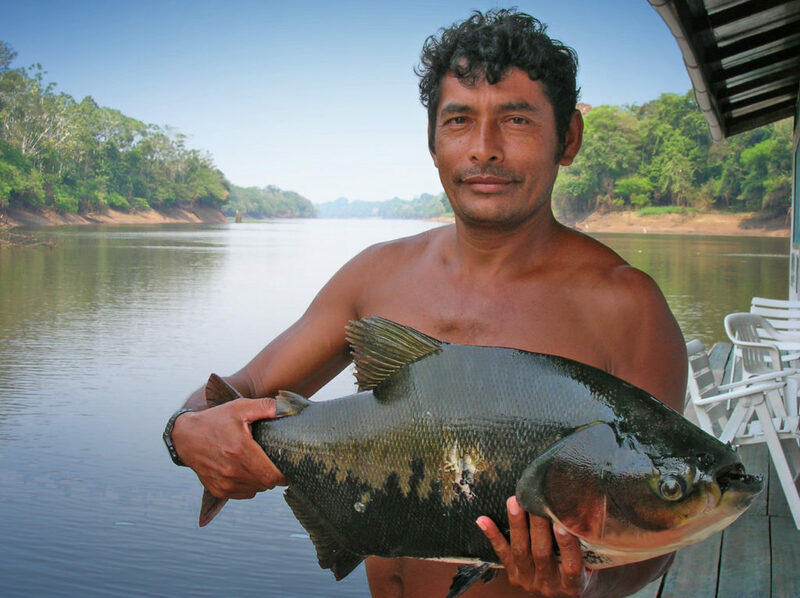 Their work could inspire new policy protections for tropical forests on the Amazon river floodplain, where fishing is a major source of income and food. What they did: Virginia Tech’s Leandro Castello and his team compiled two sets of data. The first looked at 12 years of fishery yield data from excursions that used motorized boats and gillnets. Mapping this data revealed fishery hotspots in 1,500 lakes along the Amazon River floodplain, covering an area of 386 square miles. For the second dataset, they used land cover maps, derived from satellite images, to estimate the extent of woody habitat in floodplains. With these two datasets, the team compared the amount of fish in each lake with the amount of forest surrounding it. What they found: Castello’s team reports in the journal Fish and Fisheries that lakes in the Amazon River floodplain with a larger forest amount had a greater fishery yield, demonstrating a relationship between the forest and fish. Forest survival accounted for 85 percent of fishery yields for the majority of species examined. Prior work found 56 percent of the forest in these areas were lost to clearing for plantations and cattle ranching in recent years. Why do forests influence fish? Even though the forest is on land, it provides resources for aquatic environments. 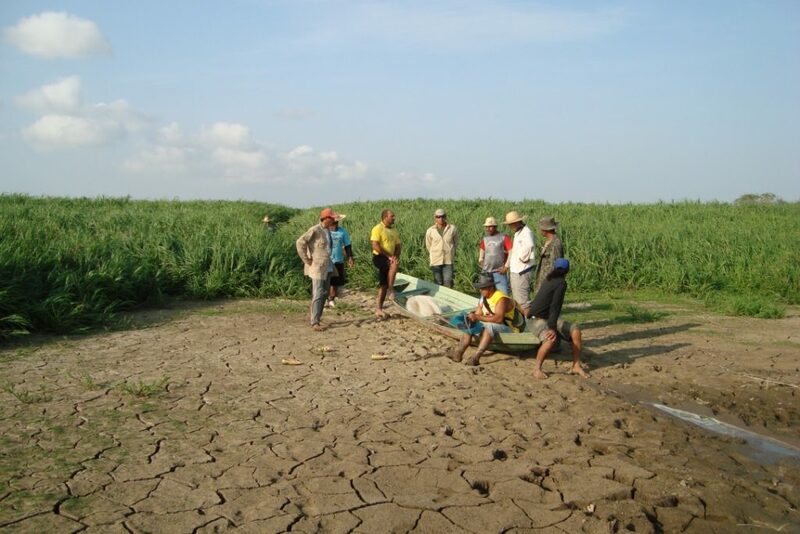 Water levels in the Amazon floodplain change seasonally. When the water level rises, it flows up rivers and channels, causing the fish to disperse into new territory. Fish can go into flooded forest areas where they find food such as fruits, seeds, algae growth on trees, leaves and other organic debris, increasing their chance of survival. The woody area also provides protection for spawning fish and acts as a nursery for their offspring. Why it matters: Deforestation in the tropics is a big issue. Large swaths of forest are being converted into pasture land or used for agriculture. 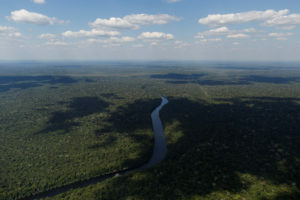 By law, 500 meters (a third of a mile) of the floodplains adjacent to river channels are protected, even though the width of Amazon floodplains can often extend for tens of miles. Many scientists are concerned about drought, carbon emissions and degraded water quality. But Castello cautions that the problem extend beyond the land.